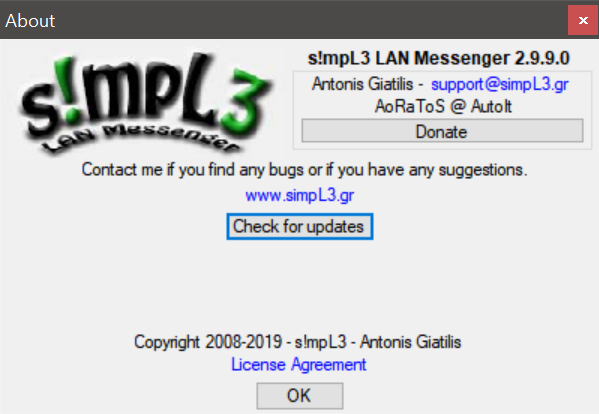 All in one - You don't need to run a server separately, all you need is s!mpL3 LAN Messenger. Multi-Network - You can be connected to up to 4 Local Area Networks at a time. Sounds - Be notified by hearing a sound of your choice when someone chats you. 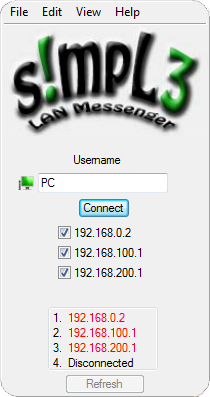 Hide-Key - A key combination to hide/show s!mpL3 LAN Messenger and all its windows instantly which can also be configured to require a password! Updater - Stay up to date! 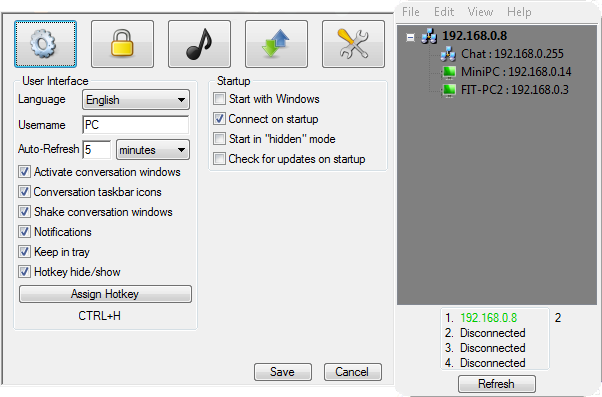 File Transfers - Send multiple files to other clients, the simple way! Encryption - All communication is encrypted with AES 128bit. FREE - Yes, completely free! New features are constantly being added and will be available in future updates!